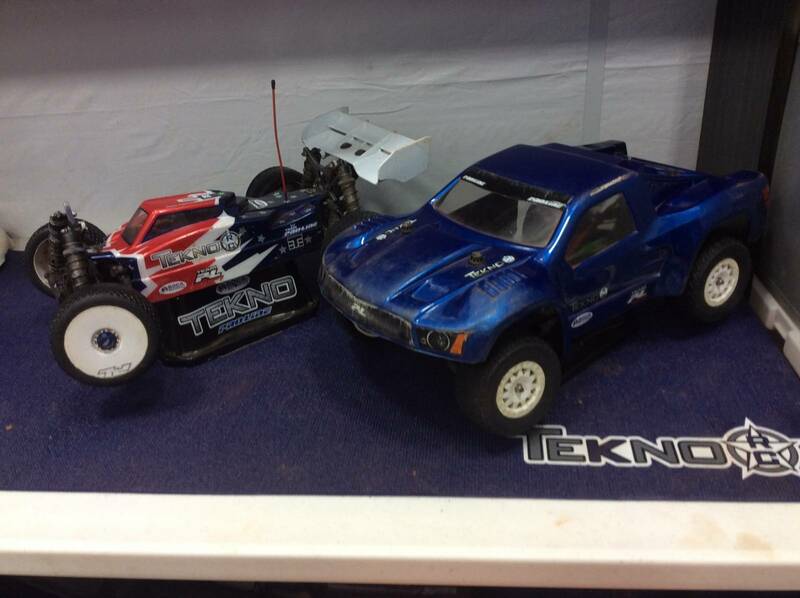 "At the 4th round of the Tekno Winter Series, I ran my new NB48.4, EB48.4, and my SCT410.3. In practice all three cars were awesome. The NB48.4 was good right from the beginning so was the EB48.4. My short course felt good for being team driven by Kyle Holmberg and myself. In qualifying my Nitro Buggy dominated TQing both rounds. My E-Buggy was a little rough not finishing the first round with servo failure on a TQ run, and in the second round I had some driving errors and qualified 4th in the B-Main. In Pro 4 Kyle and I qualified 3rd going into the main with a few mistake in qualifying. 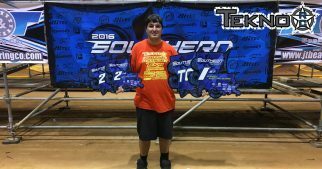 When mains came around, I ran the B main of E-Buggy first and won it. In nitro buggy, I started out front and made a mistake first corner and fell to third but then regained the lead a few short laps later. Later on in the main with around 2 minutes left the servo locked up and drove the last few laps and took the win. In Pro 4 Kyle and I got off to a decent start by taking over second in only a few corners and battled till about two minutes left and then took the lead and the win. In E-Buggy I made my way to the front and made some driving errors and couldn't match Alex Sturgeons pace and had to settle for second." 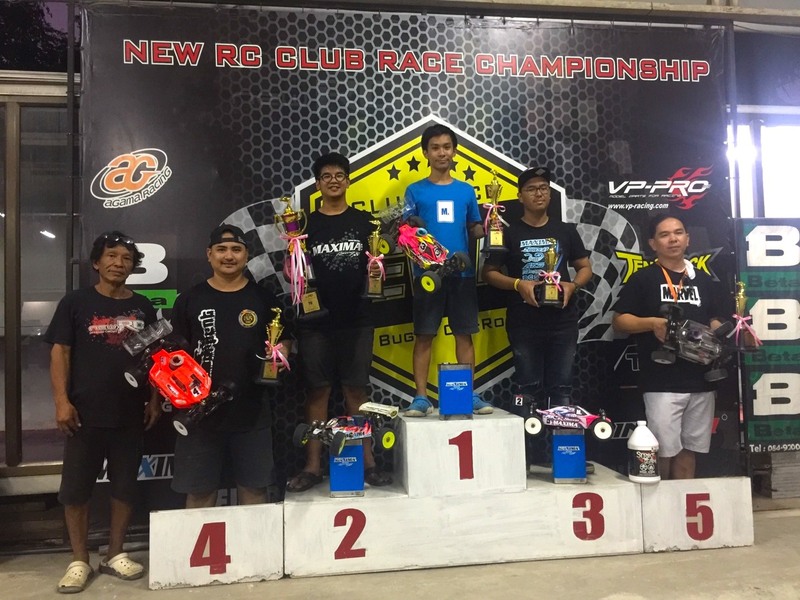 “The New RC Championship round 1 was held at New RC track in Bangkok, Thailand this past weekend. After qualifying I would start 3rd on the grid behind Meen V. and Mongkolphan L. with 13 total drivers in the 45 minute long AMain final , in the beginning of the main I didn’t have a good start so I fell mid pack for the first few laps, slowly making my way to the top five and then getting the second place towards the middle of the final, 17 seconds behind the leader Meen V. With ten minutes to go I got the first place and ended up with the win with two of Thailand’s best drivers behind me. 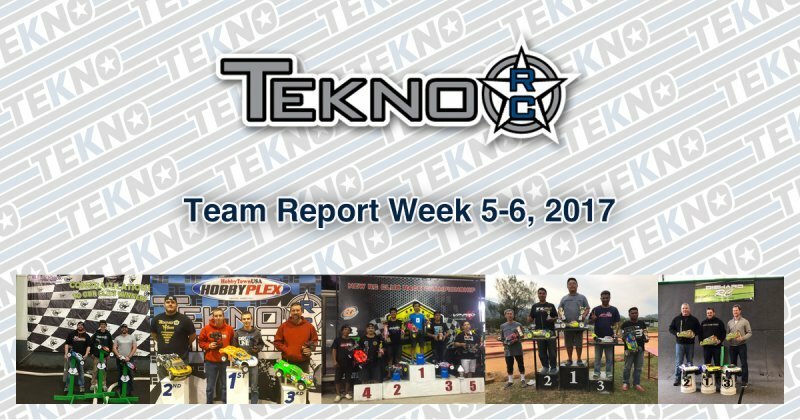 My Tekno RC car performed flawlessly throughout the race!" 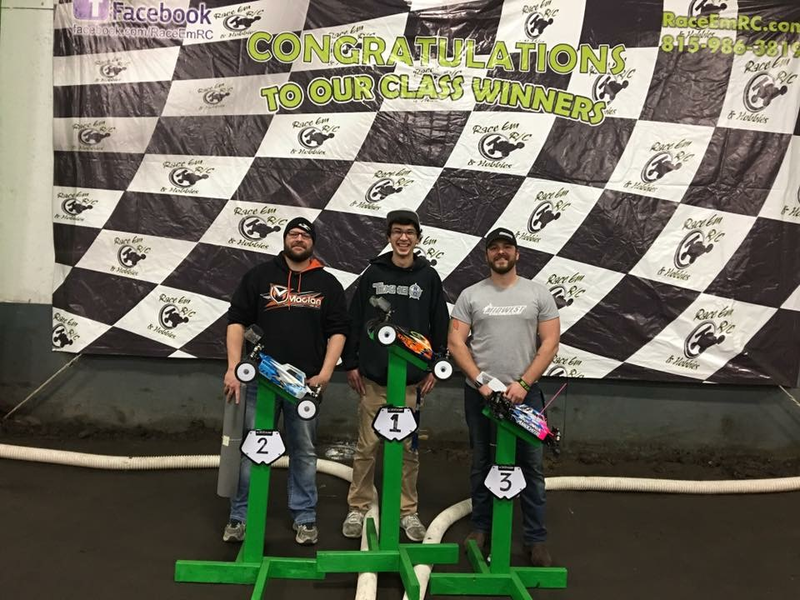 "Had an awesome time at JCIOC at Race Em Rc! First off thanks to everyone coming out and supporting our biggest event yet! Also thanks to Justin Zaugg for letting me work and race at the same time! As for race results I was only able to jump into Q1 of ebuggy without any practice as we stayed busy with the shop and event. After 3 quals with a bit of a learning curve I qualified third. After triple A mains I was able to take a victory after some great racing with David Fast and Gregg Pinky Mc Carty! 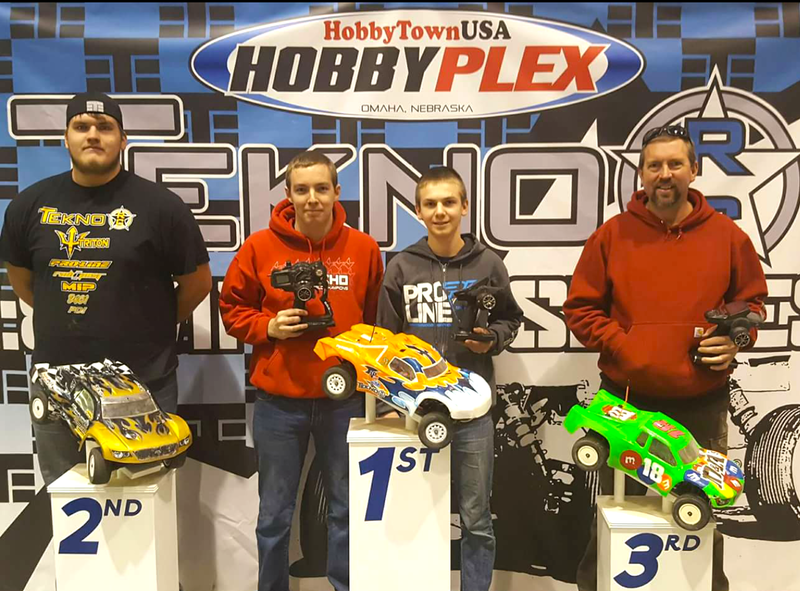 Tekno EB48.4 was locked in on Proline MC electrons and with BK Servos performing flawlessly!" "This past weekend I attended the NW Model Hobby Expo. DieHard R/C had their carpet track set up along with drift cars, model airplanes, battle robots, boats, and quad racing at the event. I raced my SCT410.3 and it was on rails. I TQ'd the first 2 rounds of qualifying securing overall TQ. I ran the 3rd round and had a great battle with Tekno teammate Sam Maahs. Sam got me at the end by .090 seconds! 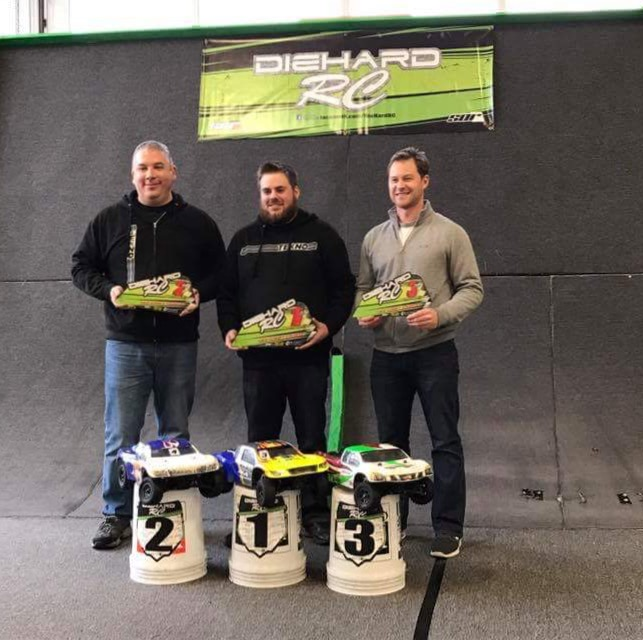 In the mains I was able to cruise to the A1 win and had some tight battles in A2 with Sam and my good friend Jason Cocking. In the end I was able to lead the last lap of A2 and secure the overall win! 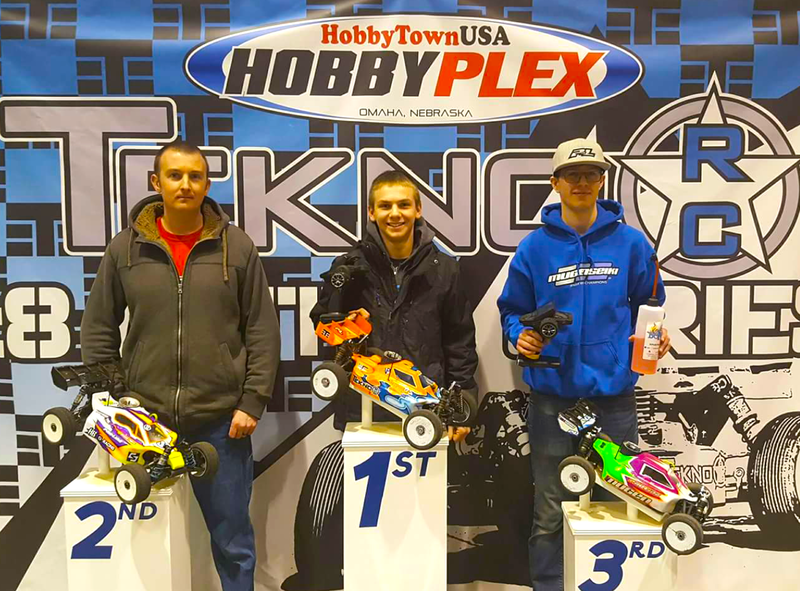 Sam and Jason filled out the podium with their Tekno trucks making it a Tekno sweep!" 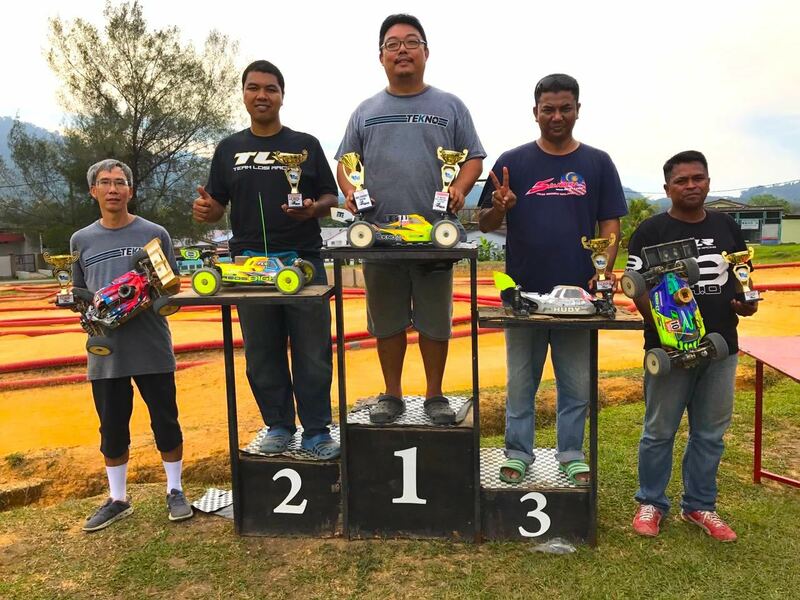 "Right after long Chinese new year holiday, on February 5th the 1st round of the Northern Nitro Challenge Series was held, in Kulim, Kedah, Malaysia. It is the fourth year of this Main Series League in Northern Malaysia. Tekno Malaysia Drivers Tommy Fung & Kent Sung traveled a couple of hours North to Nspeed track in Kulim, Malaysia on Saturday in order to get some practice. After few tanks, the traction was pretty good but the track was very bumpy so I decided to use the TKR8775 (blue LF spring) and instantly solve the problem. The NB48.3 handled the bumpy track really well. On the race day, during the qualifying, Kent Sung TQ'd the event and Tommy get solid P5. During the one hour final, Both the 48.3s performed great with no issues in the 45mins final, Kent Sung won the main and Tommy finished with 4th place." SCT was a great race with a great driver Marc Lyall. We would toss the lead back and forth throughout the race, but with 4 laps left, I would make just a couple fewer mistakes, and secure the win! As always, had a great time!"